Jubilees, anniversaries, commemoration days, public holidays, etc. Anniversaryitis. The coincidences of the calendar and the astronomical constellations that determine it are increasingly and, today, almost exclusively, defining when and with what our so-called historical consciousness occupies itself. If our current public history–our day-to-day practice of public self-understanding, heritage reassurance, and identity formation–is really so dominated by the calendar, what does this mean for those engaged in historical-political education? We are now in the year of hype about WW I. The 100th anniversary. After a lengthy run-up, historians and their publishers have launched book projects, some of which are really admirable, museums have planned special exhibitions, memorial sites have spruced up their displays, book shops have reorganised their display windows and book piles close to the cash register, television and radio have put their history editors on track, magazines have planned special editions, and print journalists have sharpened their quills. There are very many who want the largest possible slice of the attention cake on their plates. Around the middle of last year, the German Federal Government was strongly criticised because it – unlike some neighbouring governments – had not yet presented an official governmental “commemorative concept.” As if the government of one of Europe’s largest nations had nothing better to do during the national debt crisis and as if the German political parties should find the energy to produce a non-partisan concept for public history in the middle of a federal election campaign. A few days ago, the Government finally came up with a concept. Should we heave a sigh of relief? Does anybody still remember the most recent hypes? 2013: 200th anniversary of the Battle of Leipzig and the 75th anniversary of the November pogroms; 2012: 70th anniversary of the Wannsee Conference; 2011: 50 years since construction of the Berlin Wall; 2010: 20 years of German reunification; … The list can be lengthened considerably and each one of us can add further public historical hypes. Is it only the capitalistic attention economy of our times that makes us – permanently driven by insatiable information technologies –slaves to the coincidences in the calendar? Certainly, at least, yes. But this garland of ritualised commemoration apparently also makes use of human perception and older needs of biographical alignment. Anniversaries do not appear to us, for instance, as being made by humans, but rather as natural events. The concreteness of the calendar strengthens this illusion. The classical alienation: our perception offers us made-by-humans as something foreign and objective. A formal analogy of justification for private and public special celebrations (both happy and sad) has managed to achieve legitimacy in this perception of the world. In these celebrations, the “round” (because the final digit of the commemorative year is a zero or a five) milestone that marks a temporal difference gets pushed into the rectangular form that marks a difference in distance. Were such constellations always celebrated in private? Probably not. The anthropologically rooted rituals for annual celebrations are related to (ancient) fertility cycles; Christian ecclesiastical celebrations are derived from these. We still celebrate them privately every year. In public, by contrast, the novel, non-organic justification for celebrating is based on the widespread role model effect of Saxonian Reformation commemorations during times of strong political harrassment. It is linked to the “invention” of the anniversary by Pope Boniface VIII (1300), who separated the occasion from its Old Testament context of a sabbatical year (Lev 25, 8-55) and made the role of cultural-political identity formation accessible. These cyclic, but precisely non-annual “special public holidays” – the anniversaries – exist on the basis of a two-fold impression of naturalness but are, nevertheless, an institution of a specific Western Modern that, from the outset, served historical-political purposes and, from the outset, was a gateway for the commercialisation of public history. Around 10-15 years ago, the new cultural sciences endeavoured intensely to explain the institution of “the anniversary”, although, since then, it has not been possible to recognise that these investigations have had any kind of cathartic effect in their own community. Numerous silent labourers in God’s vineyard go about their work, a few are able to handle the cycles of excitement emanating from the anniversary circus masterly and, in substance, often excellently; the rest is amazed. Actors in historical education often pant along behind. What else can they do? Today, learners live in a world of constantly new anniversary campaigns, about which they have (or should have) questions. Political and historical education that ignores the anniversary cycles in its public historical environment would, de facto, be out of touch with the world and counterproductive for meaningful learning. Maybe we should concern ourselves much more intensively with the social phenomenon of “anniversaries” in the classroom and in our university courses, and do this analytically and critically. To put it somewhat ironically, we could speak of a required “anniversary skills”; this would be important for all young people. “Anniversary skills”—is that all? No. Much more is involved. We should not allow the calendar, and those who are interested in exploiting it, to dictate the daily agenda of our cultural self-understanding and of our identity debate. And even if the capitalistic attention economy, thanks to its amplifiers in the mass media, has become effective in its substantially irrelevant dynamics and is able to dictate public awareness thematically, then intellectuals like history teachers or professors should make this dynamics crystal-clear, be critical, and try to establish their own substantiated contents. Anniversaryitis requires therapy, simply. They should by no means fuel an irrelevant, basically economic, dynamics. Agenda setting is a royal privilege; we shouldn’t simply relinquish it. Brix, Emil / Stekl, Hannes (eds. ): Der Kampf um das Gedächtnis. Öffentliche Gedenktage in Mitteleuropa, Cologne et al. 1997. Müller, Winfried (ed. ): Das historische Jubiläum. Genese, Ordnungsleistung und Inszenierungsgeschichte eines institutionellen Mechanismus, Münster 2004. Münch, Paul (ed. ): Jubiläum, Jubiläum … Zur Geschichte öffentlicher und privater Erinnerung, Essen 2005. Multimedialer Rückblick, 1914 Tag für Tag. Siehe Zeit online / Geschichte (last accessed at 17.03.2014). Erster Weltkrieg. Als das alte Europa zerbrach und die Welt brannte, Themenschwerpunkt der Süddeutschen Zeitung (last accessed at 19.3.2014). ARD.de-Spezial zum Beginn des Ersten Weltkriegs 1914-1918 (zuletzt am 19.3.2014). Wiegrefe, Klaus: Weltkriege und Mauerfall. Gauck muss das Super-Gedenkjahr retten. In Spiegel online v. 9.11.2013: http://www.spiegel.de/politik/deutschland/gauck-bundespraesident-rettet-super-gedenkjahr-a-932405.html (last accessed at 21.1.16). Antwort der Bundesregierung: http://dipbt.bundestag.de/dip21/btd/18/006/1800686.pdf (last accessed at 2.1.16). Müller, Winfried: Das historische Jubiläum. Zur Geschichtlichkeit einer Zeitkonstruktion. In: ders. (ed. ): Das historische Jubiläum. Genese, Ordnungsleistung und Inszenierungsgeschichte eines institutionellen Mechanismus, Münster 2004, pp. 1-75, cf. p. 1. Flügel, Wolfgang: Konfession und Jubiläum. Zur Institutionalisierung der lutherischen Gedenkkultur in Sachsen 1617-1830, Leipzig 2005. Müller, Winfried: Vom “papistischen Jubeljahr” zum historischen Jubiläum. In: Münch, Paul (ed. ): Jubiläum, Jubiläum …. Zur Geschichte öffentlicher und privater Erinnerung, Essen 2005, pp. 29-44, cf. p. 31f. Demantowsky, Marko: From Anniversary to Anniversaryitis. In: Public History Weekly 3 (2015) 34, DOI: dx.doi.org/10.1515/phw-2014-1682. Jubiläen, Jahrestage, Gedenktage, Feiertage usw. Der Zufall des Kalenders und die ihn bestimmenden astronomischen Konstellationen definieren zunehmend und heute fast schon ausschließlich, wann sich unser Geschichtsbewusstsein womit beschäftigt. Wenn unsere aktuelle Geschichtskultur – unsere tägliche Praxis der öffentlichen Selbstverständigung, Traditionsversicherung und Identitätsstiftung – wirklich derart dominant kalendergetrieben sein sollte, was bedeutet das für die Akteure der historisch-politischen Bildung? Wir befinden uns im Jahr des 1.-Weltkrieg-Hypes. Der 100. Jahrestag. Mit langem Anlauf haben HistorikerInnen und ihre Verlage teils bewunderungswürdige Buchprojekte lanciert, Museen ihre Sonderausstellungen geplant, Gedenkstätten ihre Objekte herausgeputzt, Buchläden ihre Schaufenster und Kassenstapel neu sortiert, Fernsehen und Radio ihre Geschichtsredaktionen auf die Spur gebracht, Magazine Sonderhefte geplant, PrintjournalistInnen ihre Federn gespitzt. Vom Aufmerksamkeitskuchen wollen sehr viele ein möglichst großes Stück auf ihren Teller. Die deutsche Bundesregierung ist schon Mitte des vergangenen Jahres hart dafür kritisiert worden, dass sie – anders als einige Nachbarregierungen – noch kein offizielles regierungsamtliches Gedenkkonzept vorzulegen hatte. Als ob es für die Regierung eines der großen Staaten Europas in der Staatsschuldenkrise nichts Dringenderes zu tun gegeben hätte und als ob die deutschen Parteien mitten im Bundestagswahlkampf die Kraft für ein überparteiliches Geschichtskulturkonzept hätten aufbringen können. Dieser Tage hat die Bundesregierung mit einem Konzept nachgezogen. Soll man jetzt aufatmen? Erinnert sich noch jemand der jüngst vergangenen Hypes? – 2013: der 200. Jahrestag der Leipziger Völkerschlacht und der 75. Jahrestag der Novemberpogrome, 2012: 70. Jahrestag der Wannseekonferenz, 2011: 50 Jahre Mauerbau, 2010: 20 Jahre Deutsche Einheit … die Liste ließe sich lange fortsetzen, und jeder könnte weitere geschichtskulturelle Hypes hinzufügen. – Ist es nur die kapitalistische Aufmerksamkeitsökonomie unserer Zeit, rastlos angetrieben durch die nimmersatten Informationstechnologien, die uns zu Hörigen des Kalenderzufalls macht? Gewiss nicht zuletzt, ja. Aber diese Girlande ritualisierten Gedenkens bedient sich anscheinend auch der menschlichen Wahrnehmung und älterer Bedürfnisse der biografischen Ordnung. Jubiläen erscheinen uns z.B. nicht als menschengemacht, sondern als natürliche Dinge. Die Gegenständlichkeit des Kalenders verstärkt diese Täuschung. Eine klassische Entfremdung: Die Wahrnehmung bietet uns Selbstgemachtes als Fremd-Objektives. In dieser Weltwahrnehmung hat sich eine formale Begründungsanalogie privater und öffentlicher Sonder-Feiern (fröhlicher wie trauriger) Geltung verschafft – bei diesen ist es “das Runde” einer zeitlichen Differenz, das ins Eckige eines Mindestabstands kommt. Ob solche Konstellationen privat schon immer gefeiert wurden? Eher nicht. Anthropologisch eingewurzelt sind rituelle Jahresfeiern, die sich am Fruchtbarkeitszyklus orientieren, die christlich-kirchlichen sind davon abgeleitet. Wir feiern sie alljährlich privat noch heute. Öffentlich geht dagegen die neuartige, nicht mehr organische Feierbegründung auf die breite Vorbildwirkung sächsischer Reformationsjubiläen in der Zeit großer politischer Bedrängung zurück. Sie knüpft an die “Erfindung” des Jubiläums durch Papst Bonifaz VIII. (1300) an, der den Anlass aus seinem alttestamentlichen Kontext des Sabbatjahres löste (Lev 25, 8-55) und der Funktion einer kulturell-politischen Identitätsstiftung zugänglich machte. Diese zyklischen, aber eben nicht-annualen Sonderfeiern – die “Jubiläen” – leben von einer doppelten Anmutung von Natürlichkeit und sind doch eine Institution spezifisch abendländischer Moderne, die von Anfang an historisch-politischen Zwecken diente und von Anfang an auch ein Einfallstor zur Kommerzialisierung der Geschichtskultur war. 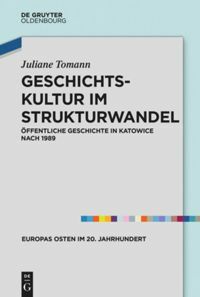 Die Kulturwissenschaften haben sich vor 10-15 Jahren intensiv bemüht, die Institution des “Jubiläums” aufzuklären, ohne dass allerdings seitdem zu erkennen gewesen wäre, dass diese Forschungen in der eigenen Zunft eine läuternde Wirkung gehabt hätten. Die vielen stillen KärrnerInnen im Weinberg des Herrn gehen ihrer Arbeit nach, des Jubiläumszirkus’ Erregungsschleifen bedienen sich Wenige virtuos und in der Sache auch exzellent, der Rest staunt. 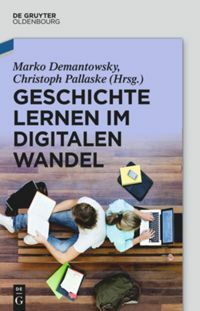 Die Akteure der historischen Bildung hecheln oftmals hinterher. Denn was auch sonst? Heutige Lernende leben in einer Welt ständig neuer Jubiläumskampagnen, sie haben Fragen dazu (oder sollten sie zumindest haben). Eine Politik- und Geschichtsdidaktik, die diese Jubiläumszyklik ihrer geschichtskulturellen Lebenswelt ignorierte, wäre de facto lebensfremd und lernfeindlich. Vielleicht ist es so, dass wir uns in Unterricht und Hochschullehre sogar viel intensiver mit dem gesellschaftlichen Phänomen “Jubiläum” auseinandersetzen sollten – und zwar kritisch-analytisch. Etwas ironisierend könnte man von einer nötigen “Jubiläums-Kompetenz” sprechen: Diese haben alle Heranwachsenden nötig. “Jubiläums-Kompetenz” – schon alles? Nein. Es geht um mehr. Die Tagesordnung unserer kulturellen Selbstverständigung und Identitätsdebatte sollten wir uns nicht vom Kalender und seinen interessierten AusbeuterInnen diktieren lassen. Und wenn die kapitalistische Aufmerksamkeitsökonomie dank ihrer massenmedialen Verstärker in ihrer sachfremden Dynamik wirksam geworden ist und das öffentliche Bewusstsein thematisch zu bestimmen vermag, dann sollten Intellektuelle diese Dynamik durchschaubar machen, kritisieren und eigene begründete Inhalte zu setzen versuchen: Jubiläumitis braucht Therapie. Keinesfalls sollten sie aber eine sachfremde, im Kern ökonomische Dynamik befeuern. Agenda Setting ist ein Königsrecht, wir sollten es nicht einfach aufgeben. Brix, Emil / Stekl, Hannes (Hrsg. ): Der Kampf um das Gedächtnis. Öffentliche Gedenktage in Mitteleuropa, Köln u.a. 1997. Müller, Winfried (Hrsg. ): Das historische Jubiläum. Genese, Ordnungsleistung und Inszenierungsgeschichte eines institutionellen Mechanismus, Münster 2004. Münch, Paul (Hrsg. ): Jubiläum, Jubiläum … Zur Geschichte öffentlicher und privater Erinnerung, Essen 2005. Multimedialer Rückblick, 1914 Tag für Tag. Siehe Zeit online / Geschichte (zuletzt am 17.3.14). Erster Weltkrieg. Als das alte Europa zerbrach und die Welt brannte, Themenschwerpunkt der Süddeutschen Zeitung (zuletzt am 19.3.2014). Wiegrefe, Klaus: Weltkriege und Mauerfall. Gauck muss das Super-Gedenkjahr retten. In Spiegel online v. 9.11.2013: http://www.spiegel.de/politik/deutschland/gauck-bundespraesident-rettet-super-gedenkjahr-a-932405.html (zuletzt am 21.1.16). Antwort der Bundesregierung: http://dipbt.bundestag.de/dip21/btd/18/006/1800686.pdf (zuletzt am 2.1.16). Müller, Winfried: Das historische Jubiläum. Zur Geschichtlichkeit einer Zeitkonstruktion. In: ders. (Hrsg. ): Das historische Jubiläum. Genese, Ordnungsleistung und Inszenierungsgeschichte eines institutionellen Mechanismus, Münster 2004, S. 1-75, hier S. 1. Müller, Winfried: Vom „papistischen Jubeljahr“ zum historischen Jubiläum. In: Münch, Paul (Hrsg. ): Jubiläum, Jubiläum …. Zur Geschichte öffentlicher und privater Erinnerung, Essen 2005, S. 29-44, hier S. 31f. Demantowsky, Marko: Vom Jubiläum zur Jubiläumitis. 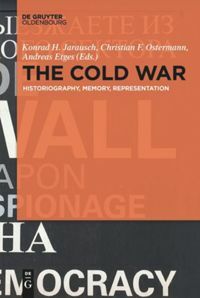 In: Public History Weekly 2 (2014) 11, DOI: dx.doi.org/10.1515/phw-2014-1682. Marko Demantowsky fragt in seinem Beitrag “Vom Jubiläum zur Jubiläumitis” angesichts der nicht enden wollenden Kette von Jubiläen sowie Jahres- und Gedenktagen nach den Folgen der engen Verzahnung von Geschichtsbewusstsein und ritualisiertem öffentlichen Gedenken für die Akteure der historisch-politischen Bildung. Er macht dabei in recht polemischen Worten deutlich, was er von dieser in seinen Augen “Fremdbestimmung” der historischen Agenda hält und fordert die Politik- und Geschichtsdidaktiker/innen auf, dass Königsrecht des Agenda-Settings nicht auf dem Altar der Aufmerksamkeitsökonomie zu opfern. Am Kern der Diagnose ist wenig auszusetzen, nur, und dies dürfte die entscheidende Frage sein, wo liegt die Lösung bzw. wo kann eine Lösung für das skizzierte Problem liegen? Dass die wissenschaftliche Zeitgeschichte nicht geringe Teile ihrer Deutungshoheit an außerakademische Akteure – nicht selten aber mit akademischen Hintergrund – verloren hat, ist in den letzten Jahren wiederholt konstatiert und diskutiert worden. Produzenten populärer Geschichte außerhalb der Universitäten finden wir aber auch schon im 19. Jahrhundert. Wie und ob die “Zunft” darauf reagieren soll bzw. kann, darüber gehen die Meinungen eher auseinander. Die Bestrebungen, an einigen Orten Public History als einen neuen historischen Teilbereich zu etablieren, lassen sich zumindest teilweise als eine Antwort auf diese Herausforderungen lesen. Hier ist es ein erklärtes Ziel, sich gerade auch mit den Wechselbeziehungen zwischen historischer Wissenschaft und öffentlichem Interesse an historischen Wissensbeständen auseinanderzusetzen. Das öffentliche Bedürfnis nach Jubiläen lässt sich (leider) nicht messen, ein Bedarf an entsprechenden Büchern und Bildbänden scheint aber zu bestehen, die teilweise doch sehr hohen Verkaufszahlen lassen sich nicht allein durch ein ökonomisches Angebot ‚erzeugen‘. Vielleicht besteht eine mögliche Lösung, sowohl für Geschichtswissenschaft wie auch Geschichtsdidaktik darin, die Jubiläen von ihrem zumeist nationalen Hintergrund zu lösen. Bricht man das “August-Erlebnis 1914” oder die konkreten Folgen des Ersten Weltkrieges auf die regionale oder lokale Ebene herunter, so ist man relativ schnell mit einem anderen ‚Markt‘ konfrontiert. Die Zusammenhänge, die eine kritische, analytische und vor allem quellennahe Geschichtswissenschaft zu liefern vermag, lassen sich fern ab der großen globalen Synthesen, so notwendig diese auch sein mögen, in vielen Fällen ‚besser‘ erläutern. Insbesondere ‚vor Ort‘ kann die Geschichtswissenschaft oft viel leichter zeigen wie sie im Innersten funktioniert und was ihren Blick auf Ereignisse, Personen und Strukturen von andern Blicken unterscheidet: Gerade der wissenschaftliche Umgang mit bestimmten Themen sollte doch den ‚kleinen‘ Unterschied machen, auch wenn der Anstoß vielleicht von außen gekommen ist. Die Jubiläumitis als vollendete Kalenderherrschaft ist ein Infekt, der von Aussen kommt. Sie ist weder ein eingeborenes Element des geschichtswissenschaftlichen, noch irgendeines anderen geistes- und sozialwissenschaftlichen Selbstverständnisses oder disziplinären Eigensinns. Im Gegenteil, sie verengt wesentlich den Korridor ihrer Heuristiken und Didaktik. Sie korrespondiert allerdings mit menschlich-biographischen und kollektiven Bedürfnissen der identifikatorischen Sinnstiftung (wie oben mindestens angedeutet). Die digital enorm beschleunigte kapitalistische Aufmerksamkeitsökonomie (und die Praxis ihre AkteurInnen) beruht auf diesen Bedürfnissen, sie vermag diese aber auch zu formatieren und zu verstärken. Zur Lösung gibt es zwei Vorschläge, von denen einer schon konkret war, der andere noch nicht. Der konkrete Vorschlag läuft darauf hinaus, den gesellschaftlichen Umgang mit historischen Jubiläen zum obligatorischen Gegenstand jedes schulischen Geschichtsunterrichts, aber auch jeder geschichtswissenchaftlichen Studienordnung zu machen. c) diese gesellschaftlichen Ereignisse von Anfang an eine spezielle wirtschaftliche Verwertung gefunden haben. Der zweite, noch nicht so konkretisierte Vorschlag bezieht sich auf die Praxis der WissenschaftlerInnen. Hier war vom Agenda Setting als Königsrecht die Rede. Eine zugespitzte Formulierung, gewiss. Einig sind wir uns sicher schnell darin, dass es nicht darum gehen kann, aus den (auf eine Weise immer noch!) kommoden Verhältnissen der Akademie nonchalant das massenmediale Treiben der diversen geschichtskulturellen Meinungsmacher zu betrachten und ansonsten fröhlich den eigenen Forschungsinteressen nachzugehen. Die Jubiläumitis ist ein fachlich relevantes gesellschaftliches Faktum, es ist zweifellos gut, sich mit den Mitteln wissenschaftlicher Triftigkeit in diese Diskurse mutig einzumischen. Diese Einmischung sollte aber m.E. zwei Aspekte berücksichtigen, um seine eigene Autonomie zu schützen: Erstens sollten diese Einmischungen immer auch eine diskursanalytischen und meta-kritischen Charakter haben, um wissenschaftlich identifizierbar für sich selbst und andere zu bleiben. Zweitens sollte man innerhalb unserer Wissenschaften (und notwendig interdisziplinär) doch einmal die Frage diskutieren, wie und mit welchen Mitteln man dem gesellschaftlichen Geschichtsdiskurs auch einmal wieder selbst ein Thema und eine Richtung geben kann. Es gibt doch kluge Vorstellungen davon, was es wirklich wert wäre, ins allgemeine Bewusstsein gerückt zu werden: Man denke, um nur zwei Beispiele zu nennen, an die Konzepte der neuen Globalgeschichte und der interkulturell vergleichenden Zivilisationsforschung. Voraussetzung dafür ist – und da bin ich abschliessend bei der von Katharina Teutsch angestossenen Diskussion, aber auch bei der Debatte um Valentin Groebners Text -, dass die Geistes- und Sozialwissenschaften sich nicht nur auf ihre lange eingetretenen Wege von Kommunikation und Publikation verlassen, sondern sich initiativ und angstfrei der sozialen Medien bedienen, sich dezidiert bemühen, nicht nur für ihresgleichen zu reden und zu schreiben, sich vielmehr auch widersprechen lassen von DenkerInnen nicht nur ihres eigenen Reputationssystems. Auch wenn das alles schwerfällt. Wie ich weiss. « Olympia-Eröffnungen. Ein historisches Wunderland?